There is definitely no such idealistic settlement on this world. Not now. But there was one before. More than three thousands years ago on the island of Crete. The first civilization in Europe and perhaps the first and the last one that fits this description. The place where I would time travel without hesitation if I could and took my family with me from today in one way trip. We know them in our history books as the Minoans, but that wasn't their real name. How they called themselves we don't know. We don't understand their letters and can't read their tablets. They built marvelous settlements with almost all the modern infrastructure we are familiar with today. Glorious city-palaces with paved roads between them. With main squares where they favorited practicing sports and arts instead of going into temples to pray. They were people who invented and lived one idealistic peaceful life and based their wealthiness on trades among themselves and all the others across the sea. Unfortunately, after several attempts throughout eons, human very nature and natural catastrophes destroyed Minoan civilization and these people at the end dispersed fully and their way of life faded away for good. Among neighboring civilisations and their saved documents, as well as with the bible, their name were probably either Keftiu, Kaptarians, Caphtor or Kabturi. Or if you like we can even call them Atlanteans if we connect Plato's story with Minoan volcanic eruption that reshaped the island of Thera in the middle of the second millennium BC. Perhaps we should wait for their Linear A script to be revealed by, maybe another Rosetta stone, but until then sir Evan's label for Minoans based on the old Greek mythology is the best we got. Nevertheless, this blog post is not really a history research and more stories about related old times I tried to list below in the refs, but one thing is for sure. The end of Minoan culture, started with earthquakes and at least one cataclysmic volcanic eruption, faded and dispersed during the final couple of centuries of the second millennium with hostile raids and occupations over time from both direction, mainland Greece in face of old Mycenaeans and ancient invaders from the direction of Middle East. However, their life based on sole manufacturing goods and food, honest trade, sports, arts and all the non-hostile human activities was once indeed possible and flourishing. Unfortunately, their legacy is, as it seems, lost for good and after more than three and a half thousands years, we are living in the world filled with fear of self destruction with little hope for the humanity to survive the next three millenniums. Anyhow, the road, or to better say, the airplane took us this summer to the island of Crete and we landed at the Chania airport which is also the military base that hosts both air and nearby naval forces. The site of supersonic fighters constantly flying above the beaches, parked heavy military aircrafts next to the civilian runway and anchored large destroyer ships in Souda Bay was definitely not something old Minoans would evolve into if history played the cards differently. After visiting Knossos archeological site and wonderful museum in Heraklion dedicated to these ancient people, I am certain of it. Caused by city's amazing scope and Minoan fascination for bulls, centuries after the fall of the civilization, Greek mythology created one of the most famous story with characters as strong as Daedalus, Icarus, king Minos, Theseus and of course the Minotaur captured in the center of the labyrinth. On the other side, the most plausible truth of why Knossos is built the way it was built is simply because Crete was positioned on top of the movement of the African tectonic plate under the Eurasian plate. This is causing lots of earthquakes, small and big and resulted by the complex geological process, the entire eastern side of the island is sinking while the western part is rising. The ancient builders purposely made the palace in this way in order to sustain constant ground shake with buildings and chambers literally supporting each other from all directions. It probably goes without saying that I am fascinated with Greece and the Greeks. Their amazing history and all the contribution their ancestors gave to the rest of the world are enormous. With this summer trip I rounded walking the lands of all three main stages of Greek ancient times. 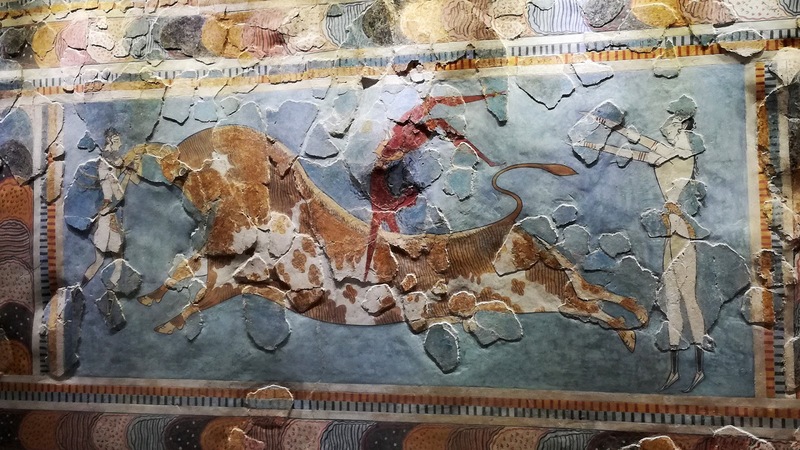 Classical Greece that belongs to the mainland north of Sparta, Mycenaean epoch that precedes them in the time of Agamemnon and now the ancient of the ancient civilisation of Minoans that precedes them all. Surely, there are many more sites to see but somehow I fill today that I fulfilled the genuine urge to visit all the main places and to walk the same paths where stories from the history (and mythology) took place. Our prime vacation time this summer was in Agia Marina, cute little place several kilometers west from Chania where we spent wonderful ten days exploring local beach and took excursion to the old Venetian harbour in the old city and it's nautical museum with exact replica of the bronze age Minoan ship. 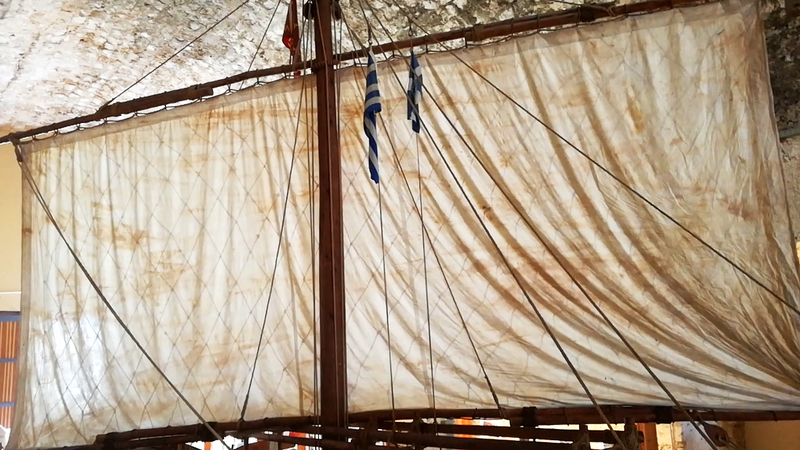 Second trip to Heraklion and Knossos completed our travel through the history of the island and the following day-by-day travel video clip Viktor and I made, hopefully would show you more than still images could, especially if you have never visited Crete before. Surely, summer vacations are never about visiting museums and the history of the area. It is also about the present and in the most hedonistic fashion we also visited the Balos lagoon, one of the greatest beaches in Europe, and the most of all, tried to enjoy the time with meeting local people and visiting local sites and the neighborhood. It is hard to say what we liked the most and I guess, the best is to say that Crete is an exceptional place to visit. Something we will definitely try to do again. Many thanks to all good people we met this July, especially to the crew of the Fly Fly Travel and their great guides, Nebojša and Dobrivoje for all their super-professional work and help.